Almost done with the second sock! 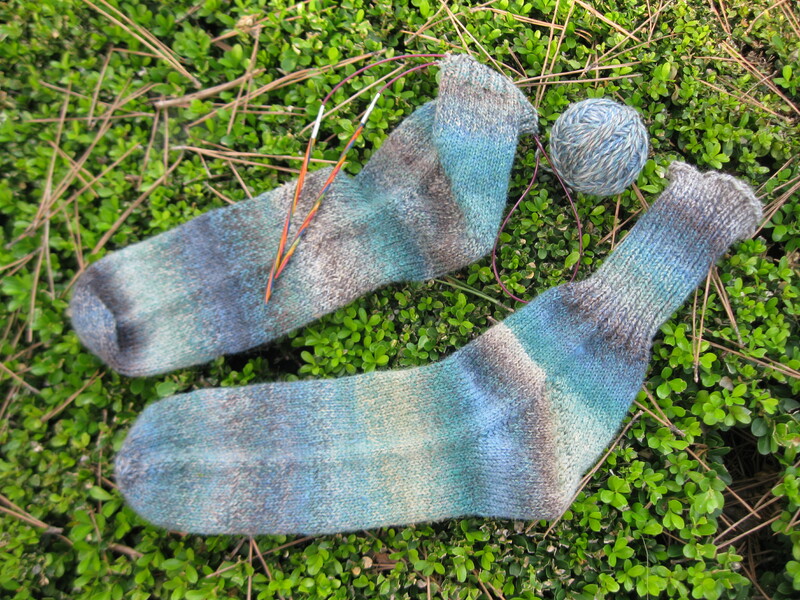 Yesterday I realized that I’d left my sock knitting instructions back at the Morro Bay house, and I was pretty bummed out about that. Then, last night I remembered: Those same instructions were typed on a Word document that I’d saved on my laptop. Hooray! (It doesn’t take much to make me happy, apparently.) 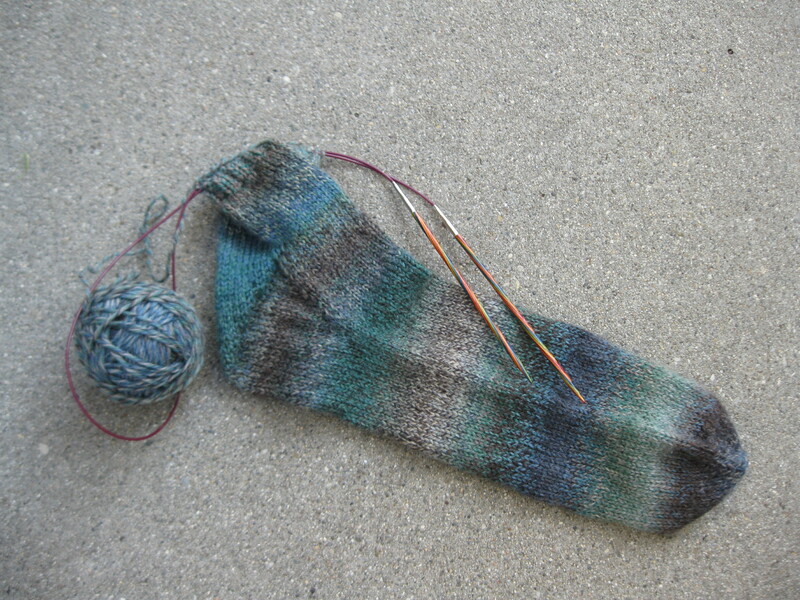 So I was able to knit the gusset, turn the heel, and start the ribbing for the cuff on the second sock this morning. This photo tells you a lot about us. Skateboard. Dolls. Books. And I’ll admit that mess on the floor is all me. I’m too busy being creative to bother with cleaning. So it looks like Sean just got himself another pair of socks. Tomorrow I’m making him be a sock model again. (Remember the first time?) I’m thinking the Ventura Promenade will make a nice backdrop. Stay tuned. 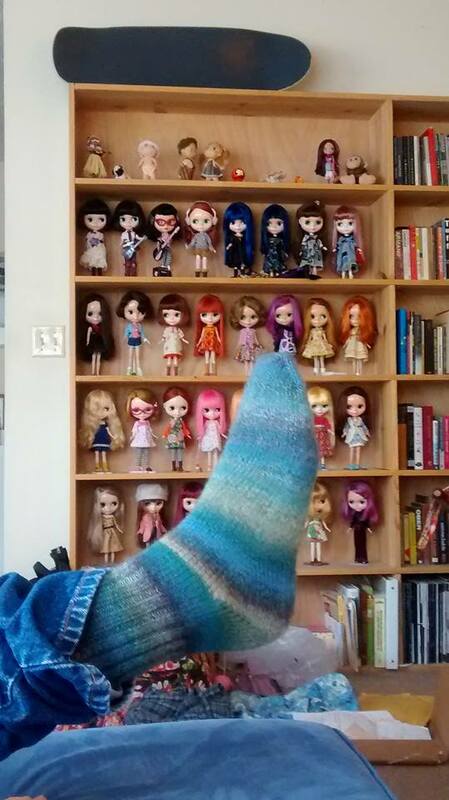 Categories: Adventures with Sean, Handmade | Tags: Blythe, knitting, Sean, socks, Ventura | Permalink.